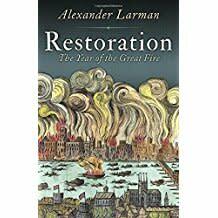 Alexander Larman is an author and journalist. After studying English at Oxford, from where he graduated with a First, he began a career that included work on titles such as the Observer, New Statesman and GQ, before he made the leap to being a full-time writer in 2012. Since then, he has published three books to date. 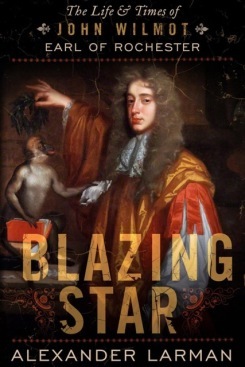 His debut, Blazing Star, a biography of the decadent poet and courtier Lord Rochester, was published in 2014, to critical acclaim. 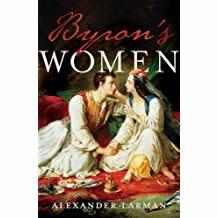 It was followed by Restoration, a social and narrative history of the year 1666, and Byron’s Women, an ‘anti-biography’ of the famous poet that focused on nine of the key women in his life. Both of the latter books were released in 2016. As a contributor, editor and ghostwriter, Alexander has worked on a variety of publications, some governed by stricter NDAs than others. Those that he can discuss publicly include Francis I: Maker of Modern France (Leonie Frieda, Weidenfeld & Nicolson, 2018), Prime Minister Corbyn (ed Iain Dale and Duncan Brack, Biteback, 2016), Original Man (ed Patrick Grant, Gestalten, 2014), Dandy In The Underworld (Sebastian Horsley, Sceptre, 2007) and Richard by Kathyn (Kathryn Apanowicz, Virgin 2007). 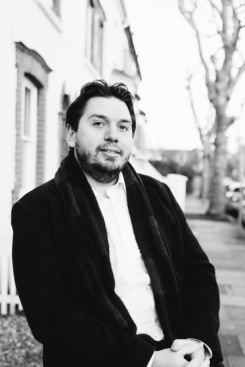 As a freelance journalist, Alexander has written for a wide range of publications including the TLS, Telegraph, History Today, BBC History Magazine, The Spectator and The Amorist. He regularly reviews books for The Observer and is a freelance obituarist for The Times. Alexander regularly appears at a variety of literary festivals and public events, most recently at the National Portrait Gallery to discuss Byron. He lives in Sussex with his wife Nancy and daughter Rose. After I felt that I had reached the end of the road with a former agent, a mutual friend introduced me to Andrew with the promise that ‘there’s nothing better than an agent who writes as well, because he can offer you the sort of in-depth advice and feedback that publishers can’t – or won’t – give you these days.’ His suggestion has proved an invaluable one. Andrew’s patience, good humour, carefully considered advice and unrivalled knowledge of all aspects of the publishing trade have been very useful from a career perspective, and make him an agent that one is delighted to work alongside. Weidenfeld have bought World English rights in Alexander Larman’s book on the 1936 Abdication Crisis The Crown in Crisis.